Corrugated cardboard giant Smurfit Kappa is in hot water with the government of Venezuela. President Nicolas Maduro’s henchmen have seized the FTSE 100 firm’s paper-making business there for at least 90 days. They say Smurfit engaged in price speculation, smuggling and refusing to sell to local businesses. Two employees have also been detained. Smurfit, which has served customers in Venezuela for almost 80 years and employs almost 1,600 people, said it had ‘operated to the highest business and ethical standards’. The company said it was impossible for its Venezuelan business to ‘manage its affairs in a way that complies with our normal business standards’. It therefore washed its hands of responsibility for ‘the use of its installations, machinery and equipment, its employees’ safety, that of its surrounding communities, any environmental impact, or the quality of the paper and packaging manufactured in the operations’. Smurfit’s shares slid 1.7 per cent, or 56p, to 3236p. 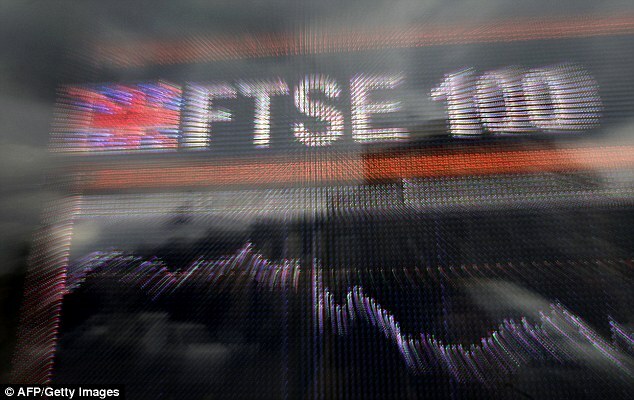 There were also signs of trouble elsewhere in the FTSE 100. A debt downgrade meant asset management giant Standard Life Aberdeen had 3.1 per cent, or 10.3p, shaved off its share price, as it ended the day at 319.3p. Ratings agency Standard & Poor’s, which evaluates companies’ ability to pay back their debt, downgraded it from A to A-minus, saying the planned sale of its insurance business would reduce its diversification and scale. British Gas owner Centrica managed to end the day marginally up, by 0.6 per cent, or 0.9p, at 142.85p, even after being walloped by the energy regulator Ofgem, which said British Gas had paid out £2.65m after overcharging more than 94,000 switching customers and wrongly imposing exit fees. Software company Micro Focus made the blue-chip index’s biggest gains, as it announced it would buy back £153.8m worth of investors’ shares. The move, which effectively makes remaining shares more valuable, lifted shares 2.9 per cent, or 37.5p, to 1319.5p. But this was not enough to keep the FTSE 100 in the black, as it ended the day down by 0.7 per cent, or 54.01 points, at 7563.21. The Johnston Press rollercoaster ride continued as the newspaper owner released its half-year results. Shares in the company, which owns titles such as The i and The Scotsman, sank 17.7 per cent, or 0.9p, to 4.2p as revenues continued to limp. Total revenue slid 10 per cent to £93m, though strong performance from The i stemmed a steeper decline. Overall operating profit even managed to rise 50.1 per cent to £7.4m. Chief executive David King said Johnston was continuing to ‘explore its options for the refinancing or restructuring of the group’s debt but, as yet, no decisions have been made nor agreements reached’. Amid the smaller London-listed companies, it was a poor day for restaurant groups Barkby and Richoux. Barkby, which owns gastropubs around Oxfordshire and Gloucestershire, dropped by 16.1 per cent, or 0.63p, to 3.25p. This came despite the group announcing that it had seen ‘strong trading’ and better occupancy in its hotels after improving its use of social media and booking platforms. Meanwhile Richoux, which operates 18 restaurants under the Richoux, Villagio, Friendly Phil’s, Zintino and Broadwick brands, sank 14.3 per cent, or 1p, to 6p. It said it had been blighted by the sector-wide ‘pressure on trading’. It said it would issue new shares at 6p each to raise £1.1m, and was in ‘advanced negotiations’ to sell a central London lease for around £1.35m.